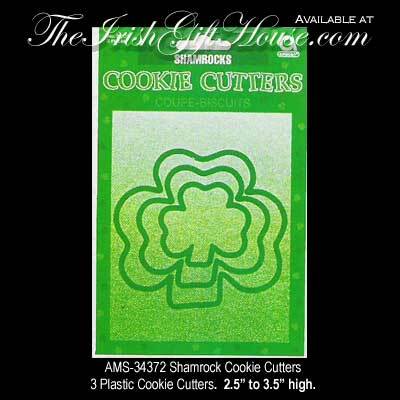 These Irish cookie cutters are a set of 3 green plastic shamrock shaped cutters. Add a festive look to your cookies this St. Patrick's Day and be sure to send a batch to us. The St. Patrick's Day cookie cutters from The Irish Gift House feature 3 shamrock cutters that range in size from 2 1/2" to 3 1/2" tall.